History has proven that it takes superhuman effort to achieve greatness. Whenever I sit back and listen to US President Kennedy’s famous speeches, it reinforces my belief that we as a species can achieve great feats if we make something a common goal. It is at that moment when success is defined by our courage to aim at the unreal and unreachable and make it a run of the mill. It is how we evolve. We choose to go to ‘The Moon’ not because it was easy, but because it was hard. This is what defines us and whatever the reason maybe, we as a civilisation created very important milestones when we launched in space the first artificial satellite, the first human and everything else that followed these events. If it wasn’t for these brave men and women and the bold steps steps taken by them, we wouldn’t have been where we are right now and I probably wouldn’t have learned so much about our evolution. I might have been doing something else with my life. Sadly, today marks the Anniversary of a disaster. It was a day when we were helpless. A day which could have been avoided and but sooner or later, something like this had to happen because to err is Human, especially when a lot of things were being done for the first time. 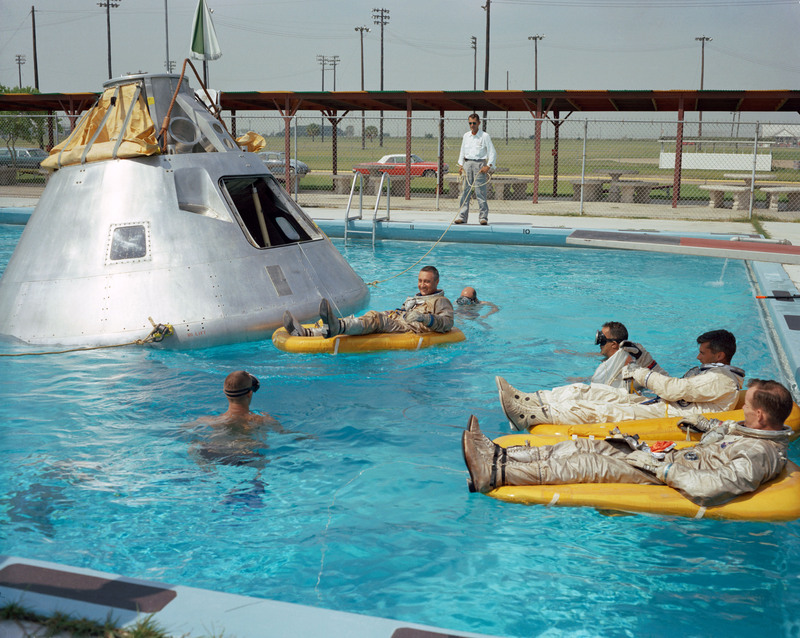 The team at NASA then as today, was a dedicated one and they spent day in and out in doing everything they could with the bare minimum technology and resources they had. Instructions checked and rechecked several times before they were handed over to the crew.Timed rehearsals were done for months so that each and every procedure becomes a reflex for the Astronauts and the ground team.This was to make sure that everyone is safe. On the 27th of January 1967 (50 years ago today) a routine launch simulation was carried out on the Apollo 1. Inside the capsule were Astronauts Virgil I. 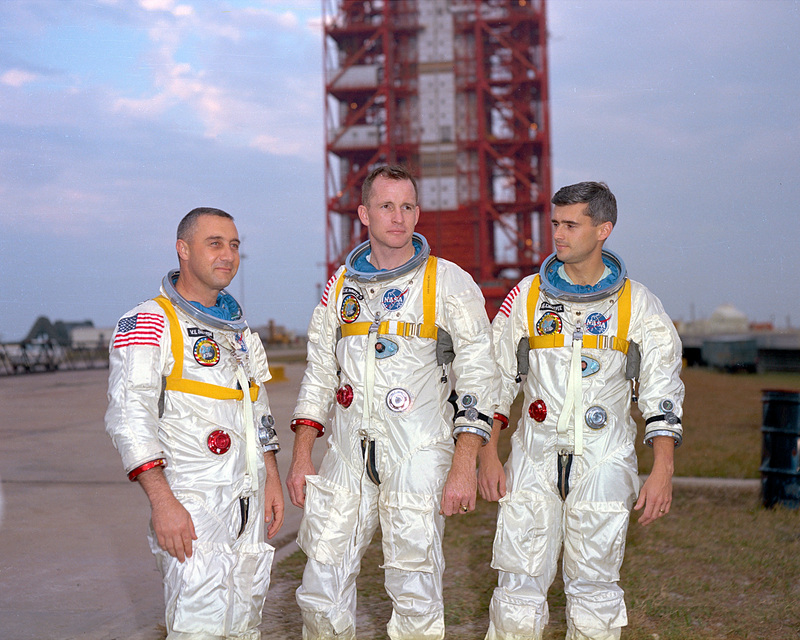 “Gus” Grissom, Edward H. White and Roger B. Chaffee in full gear. Their rocket Saturn 1B (a predecessor to ‘Saturn V’) was to take them to space and keep them in orbit at 220km above the surface of the Earth. This was a very important step in learning about procedures and manoeuvres for Command Module. All this was a preparation for the moon landings of course. 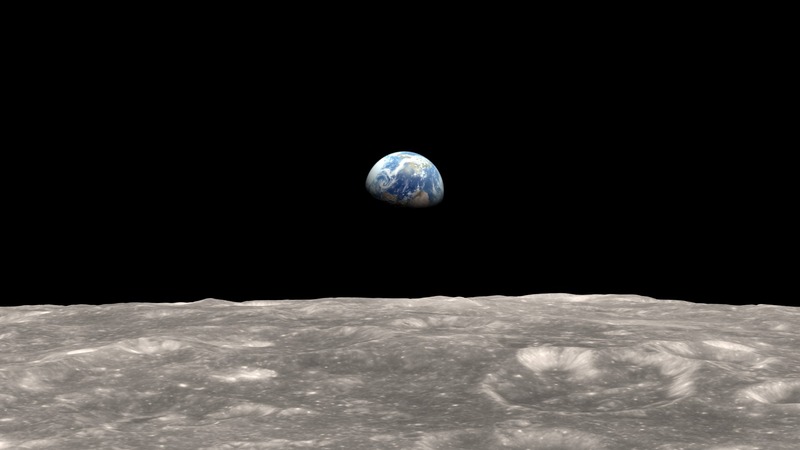 The launch date was set to 21st Feb. 1967 and the tensions were high. This was the first manned flight of the Apollo mission and a lot of what is going to happen in the future missions was going to depend on the first flight. The three astronauts were experienced and knew well that every test was as dangerous as the last one and surprises were waiting to unfurl. For the same reason, some of them were very closely involved in the development of the technology and the operating procedures of the Apollo program. The test run was to do a battery and efficiency check for spacecraft. This basically meant that all external power would be disconnected and the crew had to make sure that they don’t splurge too much energy. To make it safe, fuel, cryogenics and pyrotechnics were taken off the spacecraft. 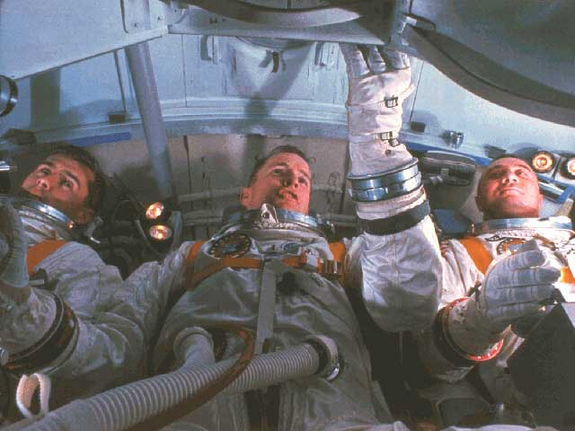 Each of the three astronauts entered the capsuled and occupied their designated seat. After being strapped in by the technicians, a go ahead from mission control was taken and the hatch was sealed. The Astronauts were isolated in a pure oxygen environment after the hatch was sealed and their only communication with the mission control was through their telecom sets. Grissom immediately noticed a strange odour and reported the same to mission control. This lead to a delay in the countdown procedure which was carried out again after an hour. Operations resumed and everything was going normal. There was a sudden voltage spike in a circuit and this lead to fumes followed by a fire. The crew immediately responded and informed mission control about the fire as per procedure. While Grissom was frantically trying to open the hatch, Chaffee maintained communication with mission control for whatever time he could. The ground crew were now trying to open the hatch which was made in three stages and failed to do so due to the extreme temperatures, high pressure and fear of a an explosion. The oxygen filled inside the capsule was at a higher pressure than normal atmospheric pressure and the heat due to the fire multiplied it further, adding to the difficulties of both the crew and the staff. This continued for a few minutes and everyone’s worst fears were realised. 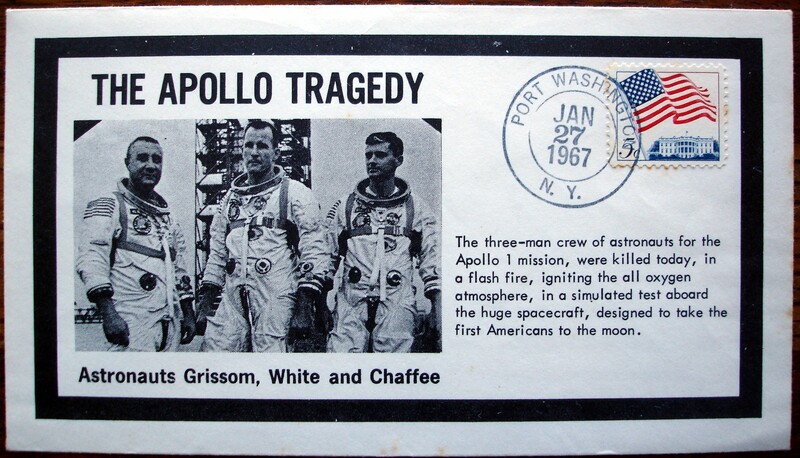 There was nothing one could do to salvage this situation and we lost three highly decorated and elite men to one of the worst disasters in spaceflight history. On investigating the incident, it was found that material inside the spacecraft was very flammable and a faulty circuit wire may have caused the fire. The pure oxygen environment amplified the effect of the fire. 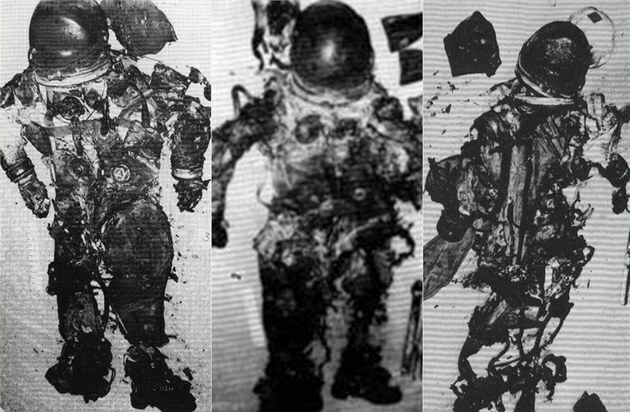 Most things inside the capsule had melted or were badly charred and the astronaut suits did little to help the situation. The citizens of the United States of America went into a shock and shivers went down the spines of everyone who heard the news. This was a government program and people needed answers. Kennedy has promised a man on the moon and back safely before 1970 and it was all looking bleak from here. More than that, the human loss was irreparable. Everyone was in such a fix that it was very difficult to move on. Manned space flights were paused for almost 2 years and a series of investigations was ordered into this mishap. Only after all the measures were taken to ensure the safety of the crew, the Apollo mission came back on schedule and on 20th July 1969, history was created when Neil Armstrong landed on the Moon and showed the world that the sacrifice of Apollo 1 astronauts didn’t go in vain. This wasn’t the first time that a mishap had happened and someone had died in the line of duty this won’t be the last time. This is how learn. We make mistakes and learn what not to do. I salute the brave crew of Apollo 1 for sacrificing their lives for the betterment of humankind. You make us appreciate everything we have more than ever. I am an Amateur Astronomer with keen interest in Astrophotography and Visual observations.I have experience in science communication and secondary school education in Astronomy. I have reached over 25,000 students which doing the same. I target making education reachable to the masses through the understanding of social and anthropological structures. My interests include long distance travelling, enjoying music and writing poetry. Next story 104 Satellites in a single launch!